The project will develop the concept of high value modular agroforestry as a mechanism to increase farm level profitability. This will be achieved through quantification and realization of direct benefits of agroforestry systems to farmers including shelter benefits (including higher animal productivity and welfare as well as crop production), resilience to weather events, provision of floral resources for honeybees, sequestration of carbon, and production of biomass/timber resources for direct sale. Indirect benefits include improved environmental services, amenity (including higher land value), and on-farm water management. 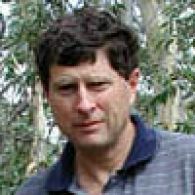 This project aims to explore and quantify the potential for high value modular agroforestry systems in southern Australia, and provide a pathway to adoption by farmers, through developing a convincing and evidence-based case for high value agroforestry, and through social research to understand the farmer motivations and barriers to adoption. Restoration and revegetation is now firmly on the agenda for Australias management of its biodiversity, including some of its most vulnerable ecological systems. This project will create the first ever landscape models for eco-restoration based on how individual animals perceive habitat quality and predation risk. These ecological processes will be linked to structural elements of the habitat and scaled up to landscape models to ensure that restored and revegetated areas will support wildlife. It will provide a new conceptual approach for restoration projects outcomes that will be used immediately to improve restoration design by the partner organisation and collaborators.